Registration opens Wednesday, February 29 at 8:00pm EST. Be one of the first campers to register to get the best prices. The registration process is completely new for 2012. New payment options and new discounts available! You can check out details on the Beantown website. 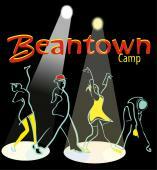 Beantown Camp 2012 is going to be AWESOME! Check out the full schedule to see all the great stuff to look forward to. Our last night falls on July 4th, making it an excellent opportunity to attend the full week. If you want to be challenged, inspired and have a ton of fun, Beantown is for you!